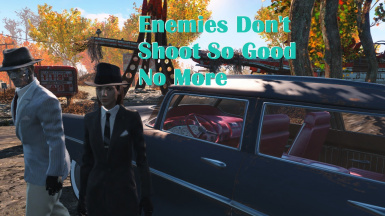 File 'Enemies Don't Shoot So Good 75 Esl' changed to 'Enemies Don't Shoot So Good 75 esl'. File 'Enemies_Don't_Shoot_So_Good_75.esp' changed to 'Enemies Don't Shoot So Good 75 esp'. File 'Enemies Don't Shoot So Good 75 esp' description changed. File 'Enemies_Don't_Shoot_So_Good_75.esl' changed to 'Enemies Don't Shoot So Good 75 Esl'. File 'Enemies Don't Shoot So Good 75 Esl' description changed. File 'Enemies Don't Shoot So Good Esl' description changed. File 'Enemies_Don't_Shoot_So_Good.Esp' changed to 'Enemies Don't Shoot So Good Esp'. File 'Enemies Don't Shoot So Good Esp' description changed. File 'Enemies_Don't_Shoot_So_Good.esl' changed to 'Enemies Don't Shoot So Good Esl'. File 'Enemies Don't Shoot So Good DLC esl' description changed. File 'Enemies Don't Shoot So Good FH NW' changed to 'Enemies Don't Shoot So Good DLC esp'.